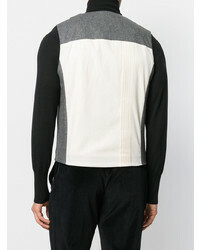 Look the best you possibly can in an Al Duca D’Aosta 1902 double breasted jacquard waistcoat and charcoal denim shorts. For something more on the daring side to finish off this look, go for a pair of beige athletic shoes. For a nothing less than incredibly stylish look, marry an Al Duca D’Aosta 1902 double breasted jacquard waistcoat with khaki plaid wool dress pants. 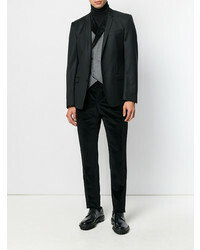 Throw in a pair of black leather derby shoes to loosen things up. 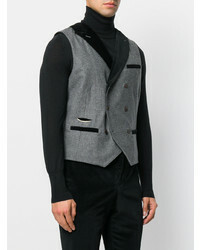 Wear an Al Duca D’Aosta 1902 double breasted jacquard waistcoat and black jeans for a sharp classy look. Go for an Al Duca D’Aosta 1902 double breasted jacquard waistcoat and black dress pants for a classic and refined silhouette. 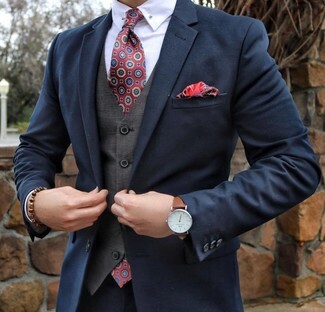 Round off this look with brown leather oxford shoes. 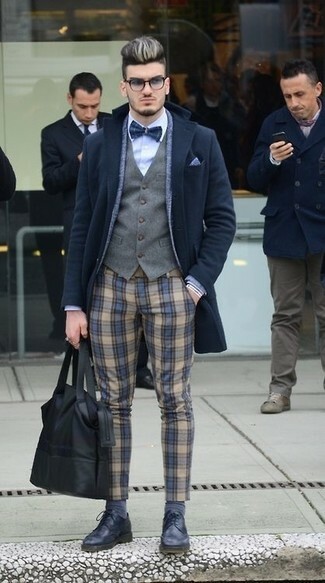 Contrary to what you might believe, outfiting dapper doesn't take that much time. 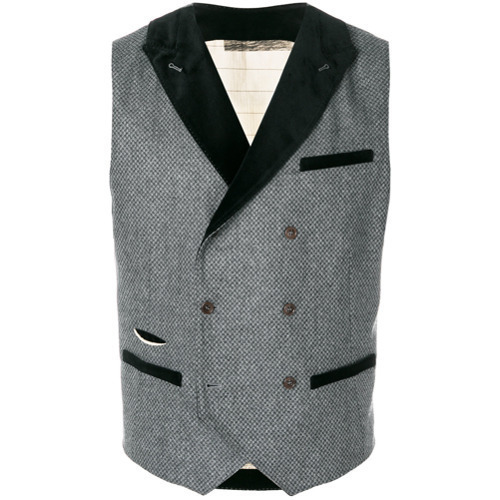 Just choose an Al Duca D’Aosta 1902 double breasted jacquard waistcoat and black skinny jeans and you'll look incredibly stylish. 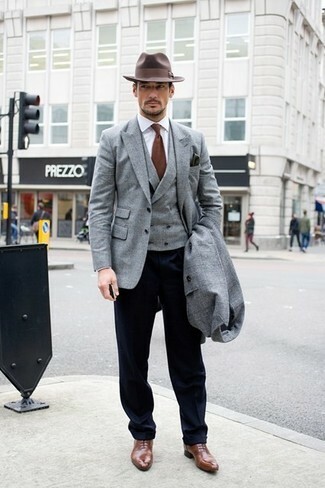 Pair a grey waistcoat with grey wool dress pants to ooze class and sophistication. 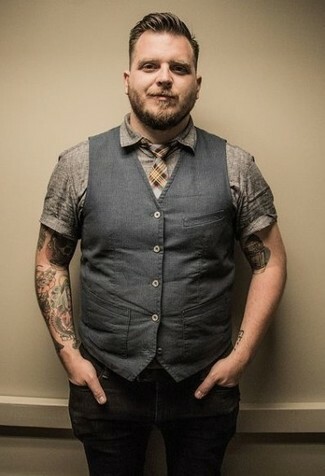 For a nothing less than incredibly stylish look, consider pairing an Al Duca D’Aosta 1902 double breasted jacquard waistcoat from farfetch.com with khaki dress pants. 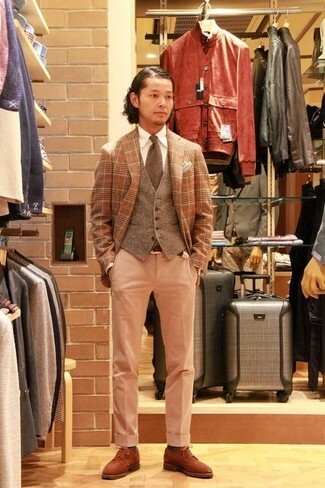 For something more on the daring side to complement this getup, choose a pair of brown suede brogues. 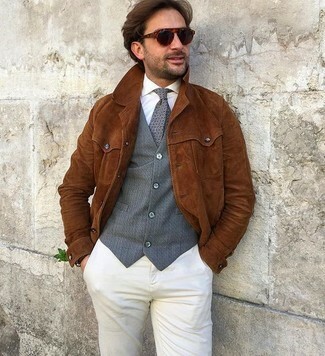 Consider pairing an Al Duca D’Aosta 1902 Double Breasted Jacquard Waistcoat with beige chinos for incredibly stylish attire. 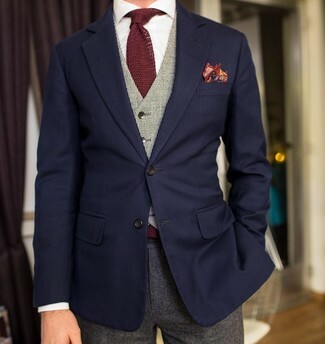 Pair an Al Duca D’Aosta 1902 double breasted jacquard waistcoat with a navy suit for a sharp classy look.